I wrote this program for myself, since I didn't find anything else adequate. with the lap times of all racing series. So I programmed a small viewer for just this! Please read the Manual inside the download file for installation and usage. Full manual only available in the versions 1.10 and 1.14. Special advise for Windows Vista users! Therefore you wont find any users if you select the normal game directory. 1. Copy the directory shown above into the normal game directory. 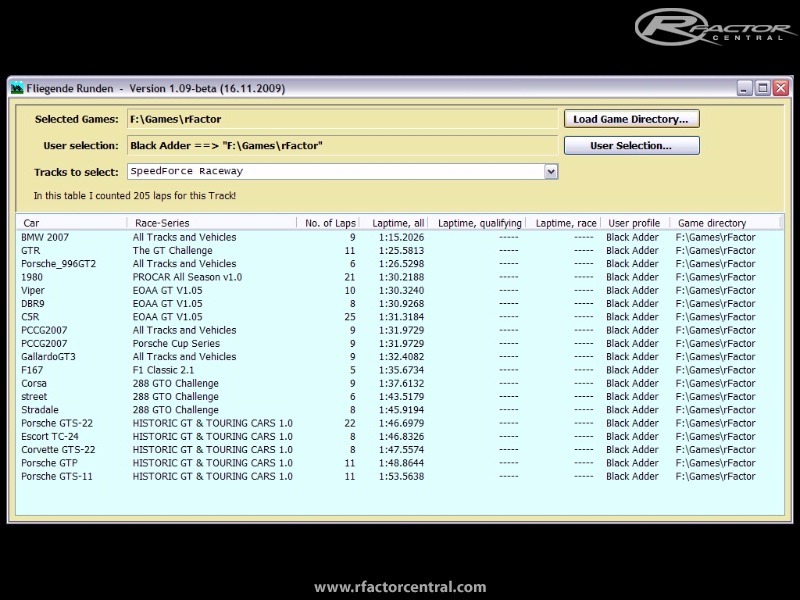 Now rFactor uses the UserData-Area of it's game directory like under Windows XP. 3. Now you can choose in Fliegende Runden the game directory and will find & select the users. 1. 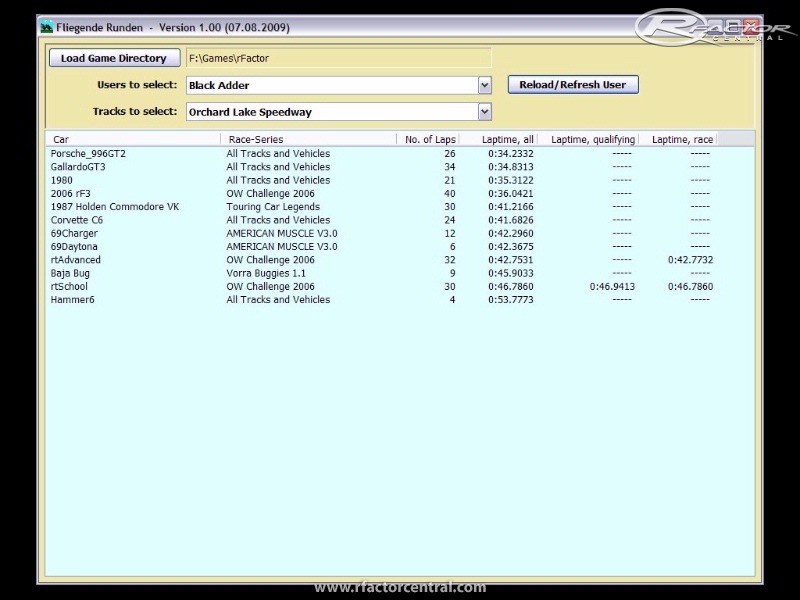 Possibility to select several rFactor-Installations by selecting their directories with an extra dialog that contains a list of the current selections. 2. 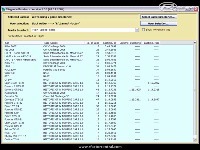 Possibility to select several user profiles out of the selected game directories by an extra dialog with add and remove. 3. Added two extra columns in the table, to show where the lap times comes from. One for the user name and one for the game directory. 4. Added a simple info with the sum of laps driven on the selected track. 5. Corrected the reloading of the last selected track after changes to user- or game-selections. c) Added last window position and size of the program. d) Added last used column sizes. 1. Now the two extra columns for user name and game directory are automatically hidden when each only have one selected. 2. Checkbox to hide/show the non-driven laps. Default is to hide these laps. 3. Added a waiting dialog for the loading process. 4. Changed/corrected the display of the selected game(s). 5. Changed/corrected the display of the selected user(s). 6. Updated the games selection dialog. 7. Updated the users selection dialog. 8. 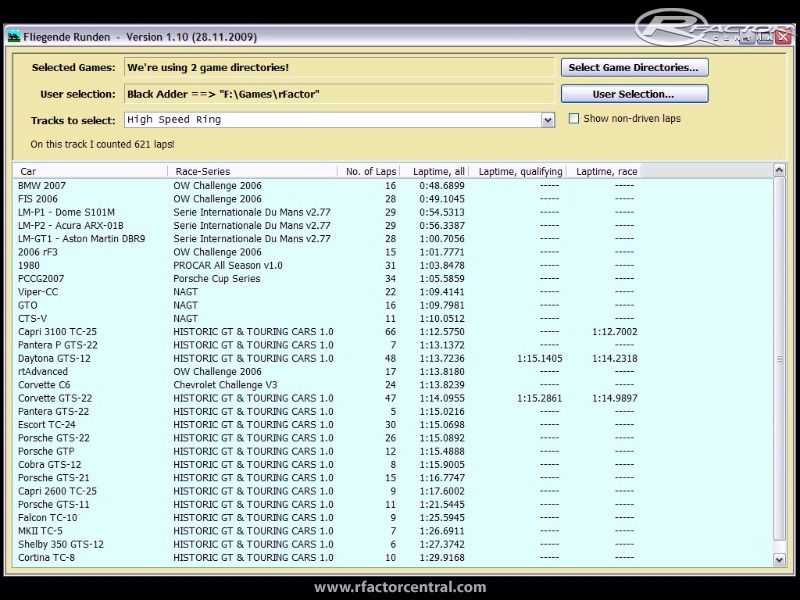 Now the complete row in the listview of the lap times can be selected. 9. Found and fixed a massive design flaw in my loading process of the lap times. Due to this, much too much file-openings were executed. --> Slow lap time loading. So I reorganized the loading of the lap times. --> Much faster! 1. Swapped the symbols in the user selection to normal Windows characters. 2. Changed the way the program was internally using the rFactor – Data. 3. Using better rules/guideline for the coding. Changing a lot of code. 4. Corrected the sorting of lap times higher 10 minutes. The sorting by number of laps had the same problem. Sorting should now be correct. 5. Introduced changeable/invertible sorting directions, by clicking twice on the same column. 6. Underlying the column which is used for sorting with a darker color. Have fun with this small tool. Great program Fendar - thanks. Just one small problem I have - some mods (Historic GT) only show the class of car, not the actual car used. How can I fix this? Thanks in advance. Hi melchi, we weren't able to find the file in order to replace them. We've located V1.10 and have sent a message to Fendar asking about V1.14. does anybody read us anyway? An interesting tool. I wonder if anyone who has used this knows why it doesn't seem to find my log files? The user profiles are picked up properly but even if I select all of them, there are no tracks to pick from and no indication that amy log files are being read. My log files are in the default location, there are 100s of them and they're properly formatted, etc (other tools can read them). 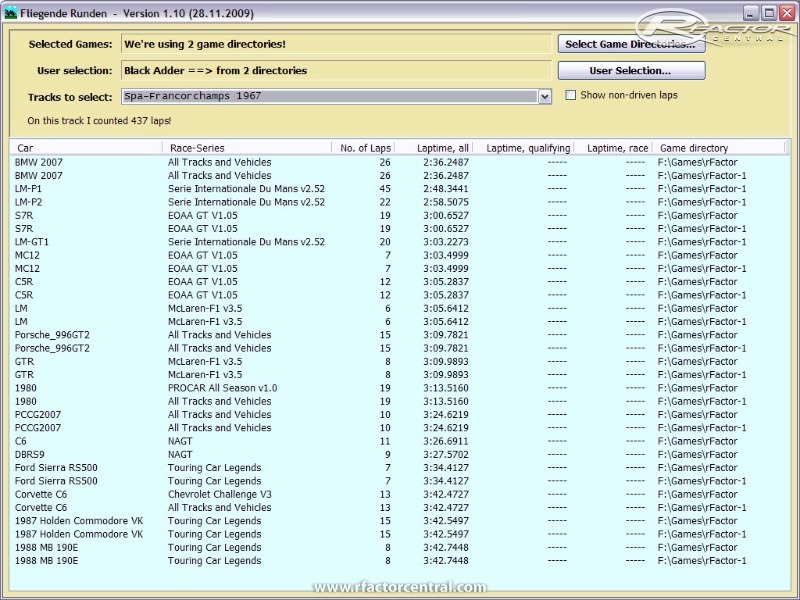 Briliant, now i can check all my laps in rfactor,well done Man! would it be possible to add the DATE the lap was driven to the list? I think it would be interesting to see how old the laptimes are. sadly this info doesn't show up in the files I read. The files have exactly the same infos you see inthe table of the game. Only that I put & sort them together out of all mods.